I volunteer for a great organization called Food Not Bombs in Houston, Texas. (To learn more about it, go to: www.houstonfoodnotbombs.org). 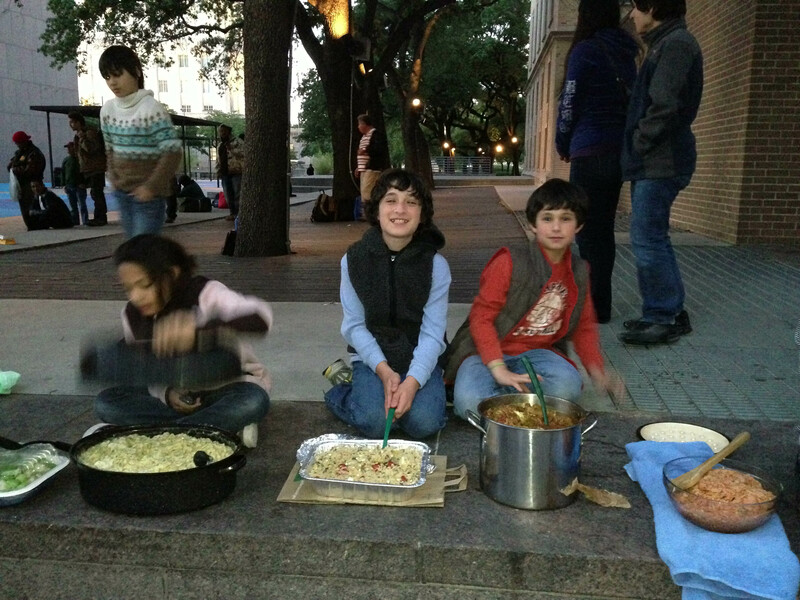 At Food Not Bombs, we provide vegetarian meals to hungry people in downtown Houston. People come to meet and share food from different places and different families. People have different problems and different stories to tell. I learned that many people who come to eat with us don’t have a lot of the things that we take for granted: a house to live in, a vehicle to use, a shower, or clean clothes. I realized that those people probably have to walk a lot and need comfortable shoes and socks to wear. So I thought I could help out by getting lots of clean, comfortable socks for them to wear to soothe their tired and hurt feet, and maybe make their lives a little bit better.